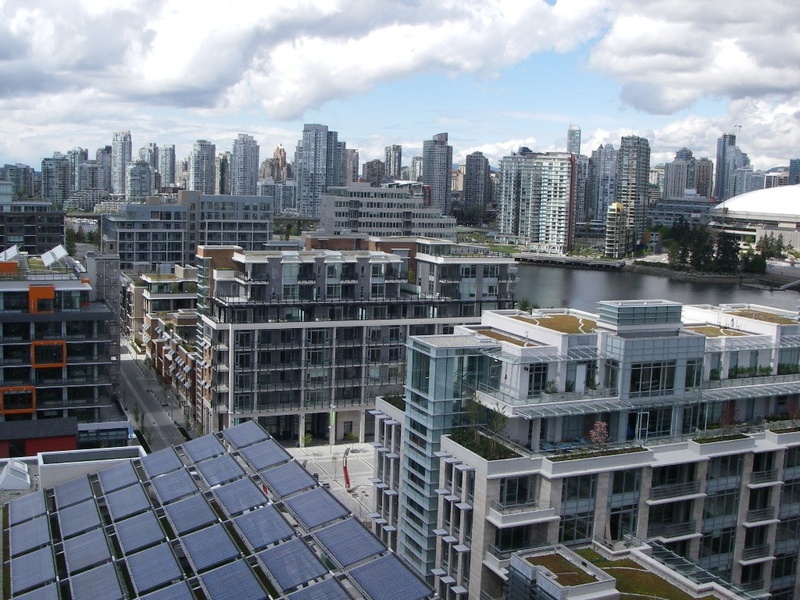 While there are many examples of Passive House or Net Zero single family homes or low-rise buildings, there is a growing interest for guidance on how to apply these standards to larger buildings. Morrison Hershfield was recently engaged by BC Housing’s Research Centre to create a guide to help fill this information gap. 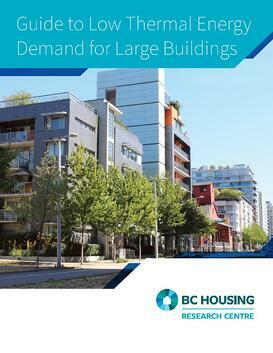 The Guide to Low Thermal Energy Demand for Large Buildings aims to broaden the understanding of how high-rise residential buildings can meet the next generation of Net Zero ready standards, and build upon current design and construction practices in Canada. 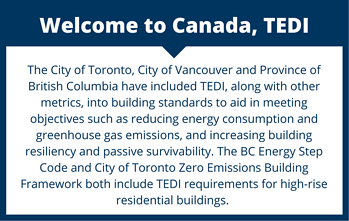 A new metric called Low Thermal Energy Demand Intensity (TEDI) is used to discuss viable approaches to designing and constructing Net Zero ready high-rise residential buildings. Thermal Bridging Calculation Methodologies, including the Building Envelope Thermal Bridging (BETB) Guide, ASHRAE-1365-RP, ISO 10211, ISO 14683 and Passive House Institute (PHI). HRV Testing Protocols, including PHI, the Home Ventilating Institute (HVI) and the Air-Conditioning, Heating and Refrigeration Institute (AHRI). 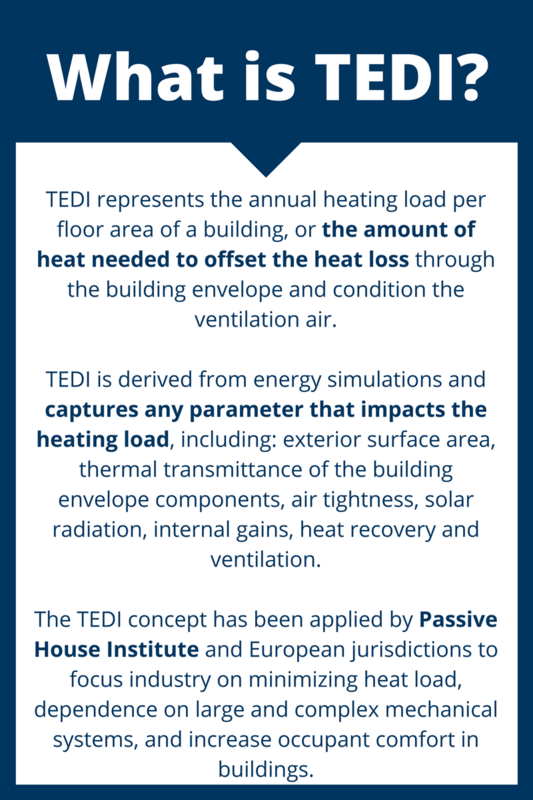 TEDI in the Context of Whole Building Energy, including a discussion of software implications. Design and Construction requirements for Low TEDI high-rise residential buildings. TEDI has attracted interest from policy makers in an effort to promote better building envelopes. Under current energy codes, there is room to trade-off mechanical and electrical efficiencies with lower performing envelopes. 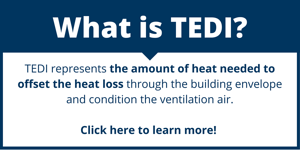 TEDI elevates the importance of the building envelope, one of the more robust energy saving measures in a building, as it is typically not prone to user or operator error, making it more likely to realize its projected energy savings. Want to know more about the Guide to Low Thermal Energy Demand for Large Buildings? Keep an eye out for our next post, where we’ll provide a chapter-by-chapter summary of the guide and how it can help you with future projects.